There are many practically-minded drivers in Bloomingdale Heights and Glendale who are looking for a versatile small car with great fuel economy, an affordable starting price, and an array of advanced technology inside the cabin. The 2016 Chevrolet Spark makes a strong case for itself with a full redesign this year, which makes it more t advanced, powerful, and fuel-efficient than before. The 2016 Kia Rio 5-Door is certainly worth a look as well, but it doesn’t meet the standards set by the Chevy Spark in many areas that matter more to more shoppers. Take a closer look before making your decision, and if you like what you see then come test drive the new Chevy Spark at Sunrise Chevy in Glendale Heights, IL. Regardless of which of these hatchbacks you decide is best for you, you’ll be able to look forward to standard features like Bluetooth phone and audio, air conditioning, and a 60/40-split folding rear seat that opens up extra room for cargo quickly and easily. 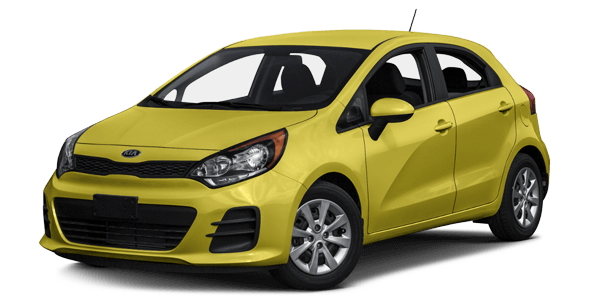 However, unlike the 2016 Kia Rio 5-Door, the 2016 Chevrolet Spark also comes standard with the Chevy MyLink infotainment system with a seven-inch touchscreen and smartphone integration via Apple CarPlay and Android Auto. Unlike the Kia Rio, the Chevy Spark has a standard OnStar telematics system with automatic crash notification, emergency roadside assistance, and a 4G LTE Wi-Fi hotspot. In fact, even the highest trim of the Kia Rio isn’t offered with Apple CarPlay, Android Auto, or a 4G LTE Wi-Fi hotspot. Also, the Chevy Spark’s base trim gets standard alloy wheels, while the Kia Rio 5-Door base trim gets steel wheels. Chevy Spark mpg: The Spark’s new 1.4L four-cylinder is capable of achieving an EPA-estimated 41 mpg highway and 31 mpg city when fitted with the available continuously variable transmission. Kia Rio 5-Door mpg: The 1.6L four-cylinder engine on the Kia Rio gets its max fuel economy ratings of 38 mpg highway and 27 mpg city when paired to a six-speed automatic transmission. When you want a vehicle that’s affordable, well equipped, versatile, and able to save you money at the gas tank, the 2016 Chevrolet Spark is an excellent choice. Find out more and take it for a spin at your Bloomingdale area Chevy dealer, Sunrise Chevrolet. Our dealership is located at 414 North Avenue in Glendale Heights, and you can reach us directly to set up a test drive.